How many times have you printed out a recipe from your computer to use in your kitchen? Or emailed yourself a recipe because you couldn't read the small print of a recipe website on your phone? Or tried to find the bookmark for the recipe you were planning for dinner in the hundreds of other recipe bookmarks you have? Recipe Folder simplifies recipe management on your phone/tablet by allowing you save recipes to Recipe Folder on your computer and then access them at any time on your phone or tablet. 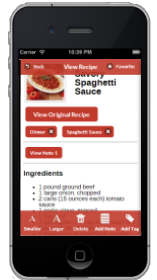 Recipe Folder is an App that allows you to snip recipes from the web and make them available anywhere. When browsing the web on your computer, you either click a bookmark, or use if you are Google Chrome user a Chrome Extension to save the recipe to your account. 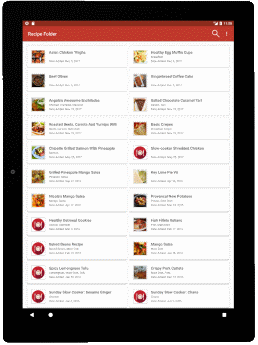 Then from the App, all the recipes you have saved will be available in a format designed for easy reading on that device. Read the simple instructions below, or follow the video tutorials and you will be sniping recipes in no time. Sign up for a free Recipe Folder account. Or to get the bookmarklet drag the "Save Recipe" button below onto your bookmark bar. If you are unsure on how to add a bookmarklet or how to use the bookmarklet, please go to our tutorial on installing and using the Bookmarklet. The android version of the App can be downloaded from the Google Play store or the IOS version can be found in the IOS App Store. Of course the App is not required save or view recipes, it just provides the best way to access recipes from within your kitchen. 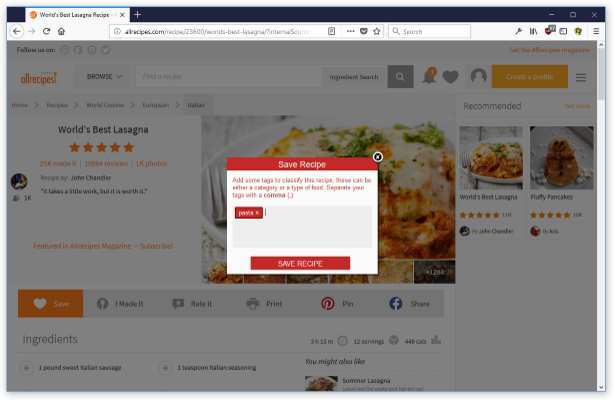 Search the internet for recipes, find the recipes you want to save and click either the bookmarklet, or use the extension to save the recipes. 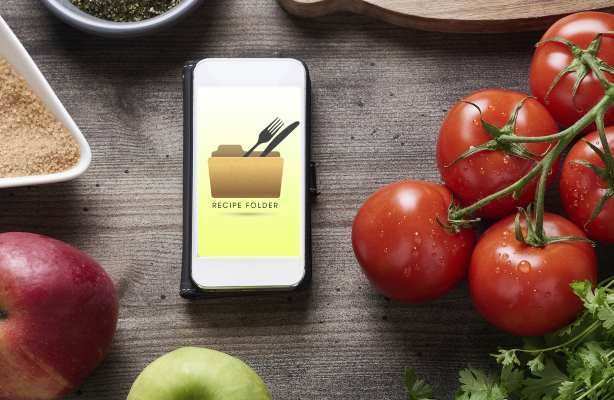 Now when you open your Recipe Folder App on your Phone/Tablet, or view your recipes here on the website, all of the recipes you have saved will be available at your fingertips. Now have the Google Assitant read your recipes to you! For full instructions visit our Google Assitant page.